Mortgage and Real Estate News and Tips: Mortgage Bond Market Analysis - Two Day Win Streak? Mortgage Bond Market Analysis - Two Day Win Streak? Well I was a no-show yesterday. 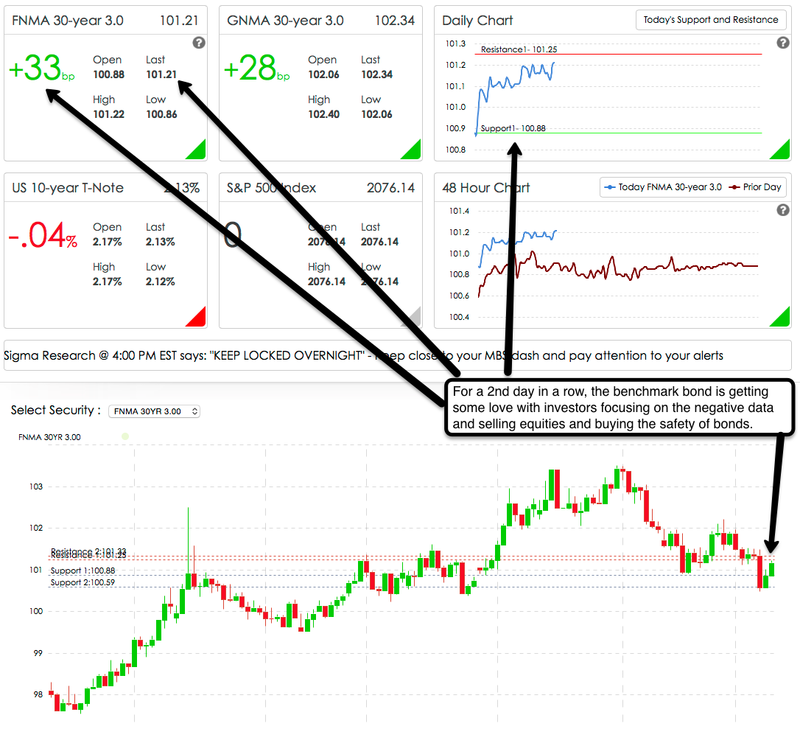 I intended to write a post and had a snap shot of the bond chart all done and everything but I had one thing after another to do for various clients and then I had meetings and I was just never able to break free long enough to write my post. I know you missed the excitement and drama yesterday so I'm back today - TIC. If you look at the daily chart in the upper right hand corner, you will notice that the bond is trending up. Let's hope that that trend continues throughout the day is it did a couple of times last week when the trend was down. The RSI is only slightly above the oversold mark but the FNMA benchmark bond is bumping its head against the first level of resistance at 101.25 and the 2nd level of resistance is only 8 basis points above that. My hope is that we can have a strong up-trend throughout the day today and break through both resistance levels in a strong way. Data is sparse tomorrow but Thursday brings us the weekly jobless claims among a few other bits of data and Friday has a smattering of data points as well. I would float with caution at this point. I say caution because of two things: 1) the resistance levels may beat the bond back down and 2) we have a couple of decent days of gains so far and you wouldn't want to miss out on the price improvement so watch the bond market closely and if there is a big spike down, be ready to lock quickly before a re-price. As always, feel free to call me if I can help with anything mortgage related: 702-812-1214. Make it a great day.